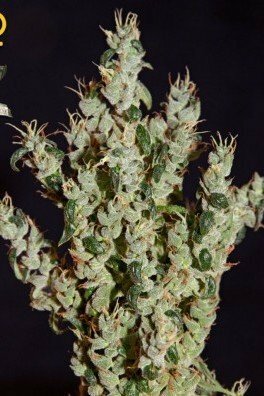 We thought it only right to bring you this legend of the 80's in an autoflowering variety. By mixing Northern Lights and Ruderalis, we have created an easy to manage cannabis strain that maintains all of the high qualities of Northern Lights, going from seed to harvest in as little as 9-10 weeks. Bred in America from an Afghani strain in the 1970s, original Northern Lights was the first strain ever designed with the indoor grower in mind. She was a huge success thanks to her fast finishes, generous yields, strong physical stones, love of artificial lighting and stealthy odor. Today, she's one of the biggest legends in the weed world. 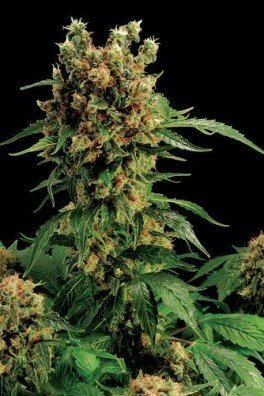 By the 1980s, Northern Lights had crossed the pond and found her way to Holland where she soon became available for sale by several commercial breeders and spawned countless hybrids. Suddenly, all growers, whether they lived in Spain or Alaska, were working with a level playing field as long as they could get their hands on a few Northern Lights seeds and invested a little time and money into building a grow room. Northern Lights has stood the test of time for nearly half a century, and she's still one of the most highly recommended strains for both beginners and stealth growers alike. 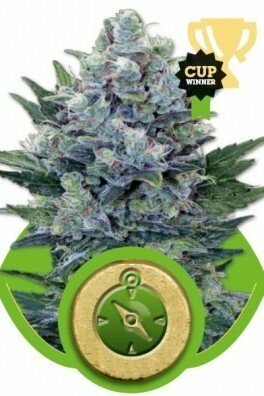 However, you can now get an updated version of this proven breed that's been both feminized and automated for even faster and easier results: Northern Lights Autoflowering. Because very little Ruderalis was added to the original mix, Northern Lights Autoflowering stays very true to original Northern Lights in every way except she's even faster, she's even more beginner friendly and she'll bud right on schedule without any lighting changes. Unlike most of today's louder strains that are in your face with both their taste and smell, Northern Lights Automatic has a subtle flavour and bouquet that's mild and sweet. Some even say you can barely smell her at all, and if you do, she doesn't really have that telltale weed aroma. We wouldn't go quite that far, but she has earned a reputation for being one of the stealthiest options for homegrown you'll find anywhere. When smoked or vaped, Northern Lights Autoflowering is fairly fast acting, but at 14% THC on average, she's far from the most potent weed you can find. There is, however, a time and place for milder Indica stones. For new or light smokers, this smoke takes the edge off with a comfortable, full-body stone that's like a warm, friendly hug while frequent users with high tolerance levels may be able to enjoy Northern Lights Auto as their wake-and-bake strain or as a functional daytime smoke. Hardly anyone experiences full-blown couchlock. Northern Lights Autoflowering has been truly embraced by the medical marijuana community. This strain has ample power to ease your pain, loosen your joints and relieve any muscle spasm. 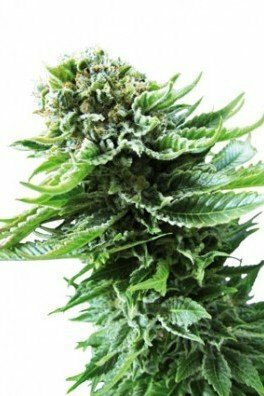 Mentally, she's also great for stress, anxiety and easing the pain of migraines and headaches. A select few Northern Lights Autoflowering have had a small amount of Thai Sativa mixed in. These varieties have a slightly lighter stone paired with a gentle mood lift thanks to a mild euphoric touch. Once patients adjust to the effects, most find that this strain is a very effective and functional treatment method for a wide variety of ailments. 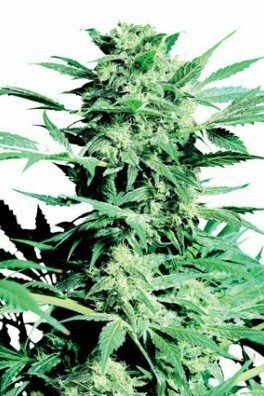 HOW TO GROW NORTHERN LIGHTS AUTOFLOWERING? Northern Lights Autoflowering is a foolproof strain for indoor growers that pairs early finishes and high yields with mild aromas that need only the lightest filtration to contain the smell. 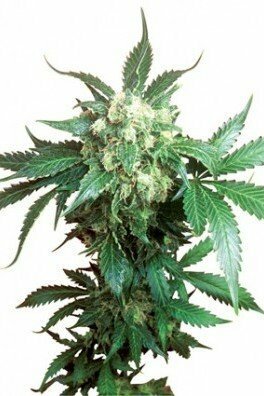 Like most near-pure Indicas, she thrives in almost any environment, resists most pests and diseases and forgives all the mistakes that every beginner makes, no matter how much prep work and research they do before starting their first grow. 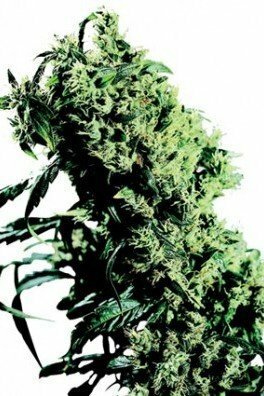 Because automatic hybrids aren't conducive to cloning or more than the mildest training, Northern Lights Autoflowering is typically grown from seed and allowed to develop naturally into a classic Christmas-tree shape. Once the young seedling emerges from the soil, she will develop much faster than most photoperiod breeds and will start to show early bud development about three weeks later. Heights are midrange at about 80-120cm on average. Over the next five to seven weeks, the flowers plump and fatten as the calyxes begin to swell and stack, and a thick layer of icy-blue resin soon forms. By the tenth week at the latest, the pistils start to darken as the final swell appears to swallow them. That's your signal that it's nearly time to harvest. Like all automatic strains, you can grow Northern Lights Autoflowering using a full 24-hours of light, but most experts recommend dialing that back to a 18/6 schedule as the buds start to form for the highest yields. If you're trying to save on electricity, you can get by with as little as 14/10, but don't be surprised if your bud size, density or overall harvest suffers slightly. Northern Lights Autoflowering is nothing if not versatile and will thrive in practically any environment, under any conditions, but she does seem to prefer hydro over soil. The typical soil grower can expect to get around 50-80g/plant while many hydro growers can push those numbers to 100g/plant or more. Curiously, she's not a particularly heavy feeder in either environment. Although Northern Lights Autoflowering is highly recommended for indoor use, she's even more productive outdoors when grown under the right conditions. Outdoor growers in warm areas with plenty of sun, like Spain or Southern California, have been able to reach 200g/plant yields during good years.